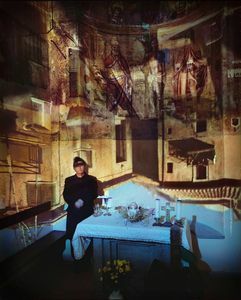 The idea in embarking on the "Interior/Exterior" project was a nocturnal inspiration after seeing some bw-images of Abelardo Morel in a photo magazine. 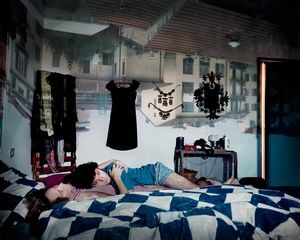 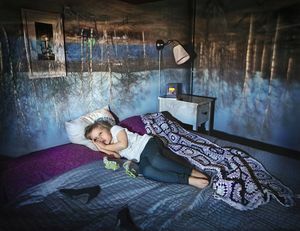 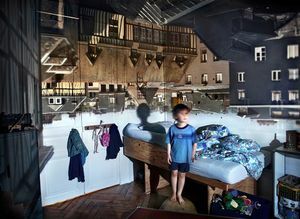 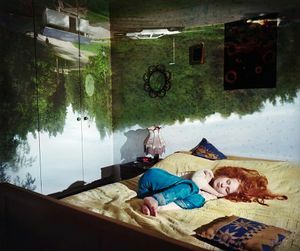 In the room converted into a camera obscura I could capture an image of a person and at the same time that person’s room and the view from the window – what an all-encompassing method by which to photograph a person’s living environment! 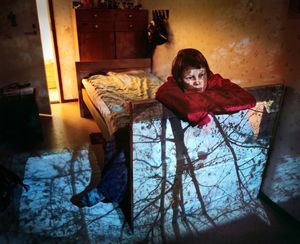 The originally documentary idea soon expanded in a new direction. 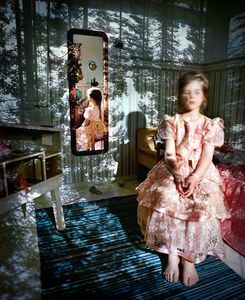 The pictures began to form not only a person’s living environment but also to constitute an excursion into the mental landscape: reflections of memories, reveries, fears and dreams. 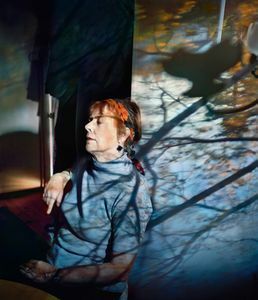 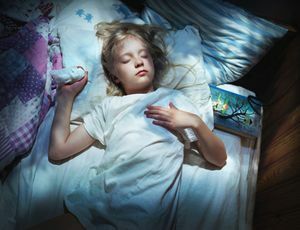 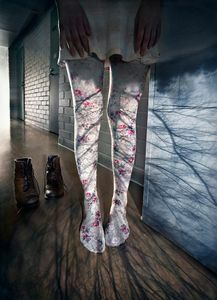 Working on this series was for me like taking photographs for a family album: visitations to people and also to myself. 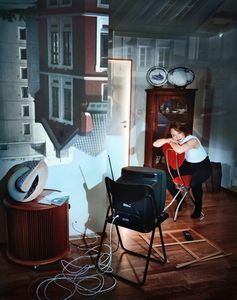 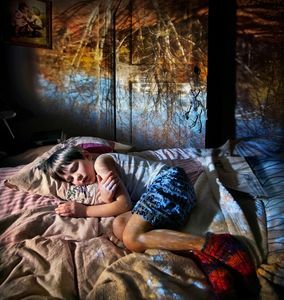 To take the pictures I transform people’s rooms into camera obscura by covering the windows of the room with blackout plastic and placing on top of the hole cut in it a simple convex lens. 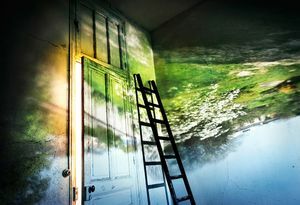 Then the view outside the window is reflected upside down into the room forming a dreamy layered space. 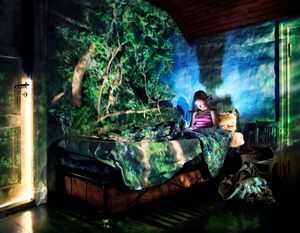 This and the occupant of the room I then photographed with a conventional camera. 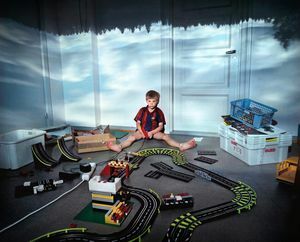 At first I used roll film cameras, nowadays a digital camera. 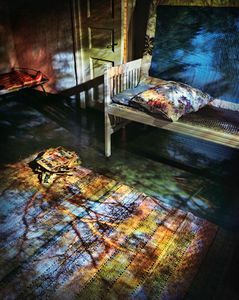 The printing techniques also changed in the course of the project: from the chromogenic colour prints of the early years to the present prints on rag and fibre paper with permanent pigments. 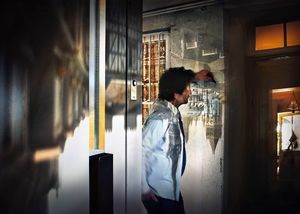 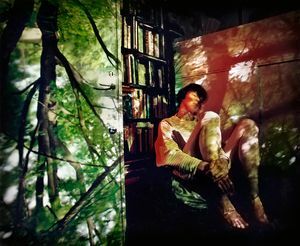 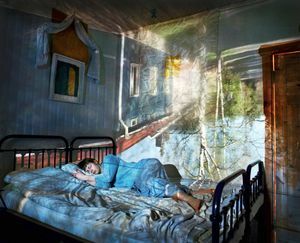 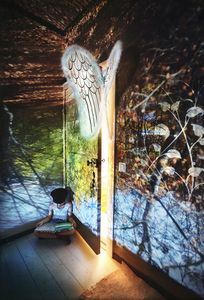 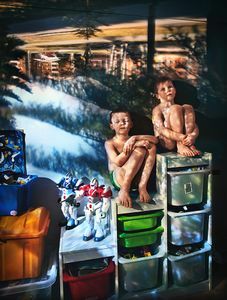 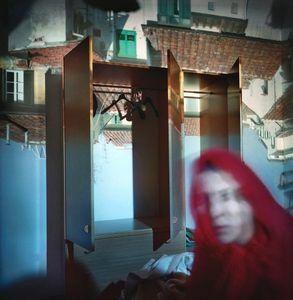 Interior/Exterior is my most extensive and long-lasting project accomplished with the camera obscura method. 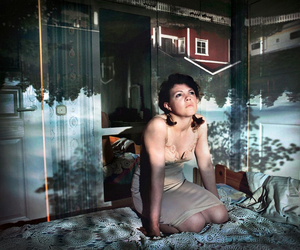 So far I have photographed this series in Finland, Norway, Italy and France, and the work continues.